This is the ninth installment of a 10-part series evaluating the schedules of the 10 Big East teams for the 2013-14 season. Above record, tournament finishes are from last season. Butler, Creighton, DePaul, Georgetown, Marquette, Providence, Seton Hall, St. John’s analyses are available by clicking the links. 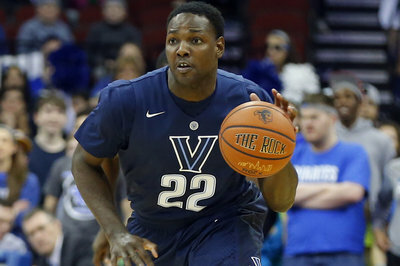 I’m not sure why, but I’m a big believer in Villanova this year. The Wildcats surprised a lot of people last year with a 20-win campaign and earned a spot in the NCAA Tournament after a dismal 13-19 season in 2011. Leading scorer JayVaughn Pinkston (would you believe he’s only a junior?) returns although he injured his ankle in the offseason injured his ankle in the offseason and still has an assault case hanging over his head. Ryan Arcidiacono and Darrun Hilliard are back as well, but there are questions about this team’s depth. The Wildcats went about seven deep last year but incoming freshman Josh Hart and Kris Jenkins should help fill that void. The freshmen should get plenty of playing time in the team’s first few games, with no serious challenges before a trip to the Bahamas for the Battle 4 Atlantis. A second round game against Kansas presents a fantastic opportunity for this team to take the next step, but I don’t see them winning. A game against either Tennessee or Iowa should help the RPI, however. Big 6 games are up next with Penn and La Salle coming to The Pavilion sandwiched around a trip to St. Joseph’s. I think the Wildcats lose their second game of the year at The Palestra. A home game with Rider sets up another opportunity for a big win when Villanova heads to Syracuse for its final non-conference game before the New Year. The Wildcats beat the Orange at the Carrier Dome when the latter was ranked No. 3 on Jan. 20, 2011, but lost last year to the then-No. 7 Orange on the road. I expect a similar result this year. Villanova welcomes Butler to the Big East by traveling to Indianapolis on New Years Eve before coming home to take on Providence. I think a loss is in the cards when ‘Nova heads to St. John’s but a win over DePaul followed by an upset of Creighton at home will help the ‘Cats get back on track. Two tough road games at Marquette and Georgetown won’t be easy and neither will a trip to Temple in the middle of conference play. I think Villanova finds a way to beat the Owls to spark a four-game winning streak before a loss at Creighton. After a trip to Providence, the Wildcats will play three straight and four of five at home to close the season. I like Villanova in every game, but I’m going with Xavier in an upset on March 6. The ‘Cats will do enough to ensure a second straight NCAA Tournament bid.